It's not often that inhabitants of the True North are given the opportunity to purchase a half-decent phone before it lands in the US, but that's exactly the case with HTC's Incredible S - the magician of a handset is now available from both Bell and Virgin Mobile, with the former charging $99.95 and the latter upping the cost by just four cents. 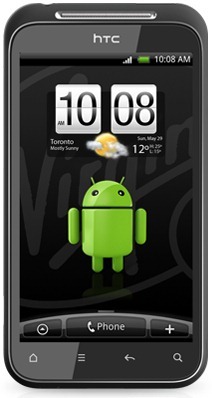 Of course, those price tags entail three-year contracts; if you want to buy the phone outright, you'll have to bear the expense of its full retail price - $499.95 if you're buying from Bell, or $499.99 if you choose Virgin Mobile. Not bad prices, all things considered - so long as the locked bootloader doesn't turn you off completely, that is.